The Supreme Court in an interim order has refused to stay the Electoral bonds scheme of the government and put up the matter for final disposal later. The court directed all political parties to furnish all the details regarding the bonds to the Election Commission in a sealed envelope by May 30, clearly mentioning details of money received by them. The court said this was an interim arrangement to not to tilt the balance in favour of one political party. 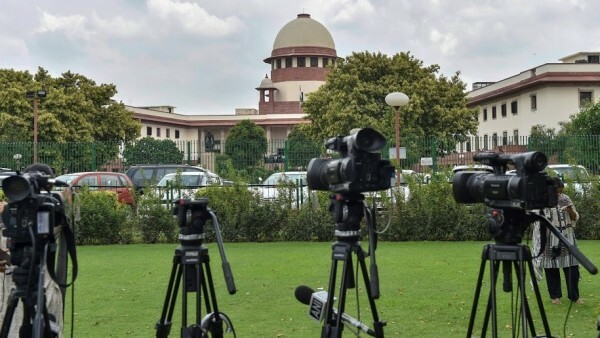 The Communist Party of India-Marxist (CPI-M) on Friday hailed the interim order of the Supreme Court on the electoral bond scheme, saying the court has “clearly stated (that) transparency is the basic principle of electoral funding”. A CPI-M statement said it noted, “positively the interim order passed by the Supreme Court on the electoral bond scheme initiated by the Modi government”. It said the changes in the law which were rushed without a proper and comprehensive discussion in Parliament was aimed at removing the limits of corporate funding of political parties, particularly at the time of elections, while making it completely anonymous. The CPI-M statement said: “Today’s interim judgement has brought in some degree of accountability by making it mandatory for the political parties to place their collection from electoral bonds and the details thereof to the Election Commission by May 30. The CPI-M said it was happy that the legal battle, in which it itself is a petitioner, “has yielded some positive result as of now” to make electoral funding completely transparent and free of corporate influence towards breaking the corporate-ruling party nexus. BSP supremo Mayawati called the Supreme Court interim ruling on electoral bonds “a shameful defeat” for the BJP which it said will now have to reveal from where it gets its major donations.